The Great Smoky Mountains provide the perfect winter getaway for the whole family. Whether you’re seeking winter mountain adventure, or the warmth of laughter and down-home cooking, the Smokies are sure to delight every member of your family. 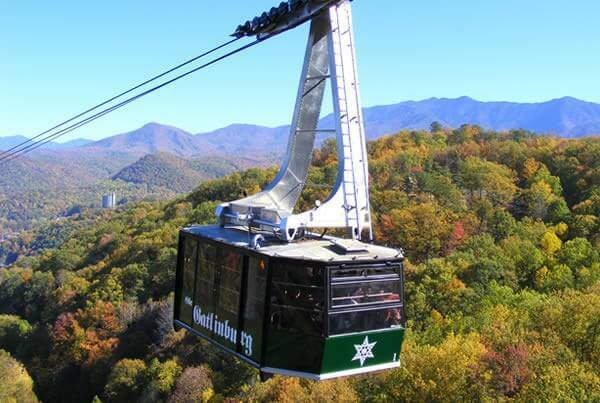 Besides Ober Gatlinburg, we’ve outlined some more locations you’ll be sure to enjoy. We also have a list for exclusively indoor activities if that’s more up your alley. Foxfire Mountain Adventure Park—Experience breathtaking winter views at Foxfire Mountain Adventure Park. This gorgeous 150-acre adventure park allows you to soar through the Smoky Mountains on amazing ziplines, even in winter (weather permitting). The challenge courses are seasonal offerings, however. If your family prefers to stay closer to the ground, experience the winter beauty of the Smokies on an 8-wheel Bear Crawler nature tour, hike miles into the snow-capped mountains, or walk along America’s longest swinging bridge. A kid’s obstacle course for the little ones means there’s something for the whole family to enjoy. Check out more toddler-friendly activities here. Hatfield & McCoy Dinner Show—Had enough snow for the day? Step indoors at the Hatfield & McCoy Dinner Show in Pigeon Forge. Experience one of the most storied family feuds in American history! You’ll watch as their story comes to life in this toe-tapping, hands-clapping musical dinner show that’s all-ages fun for the whole family. Pick a side and be a part of the show as an honorary Hatfield or McCoy in the most fun dinner show in town! And come hungry for the all you can eat four-course family-style feast featuring Granny’s Feudin’ Fried Chick’n, barbecue, and all the fixings. Ripley’s Aquarium of the Smokies—Visit one of the top aquariums in the world, where you and the kids can come face-to-beak with penguins indoors and out in the Penguin Encounter habitat. Or, get in the water and splash with stingrays! Every ocean and sea are represented, from small reef fish to large sharks and giant sea turtles. Experience the wonders of the water at this one-of-a-kind wildlife wonderland.